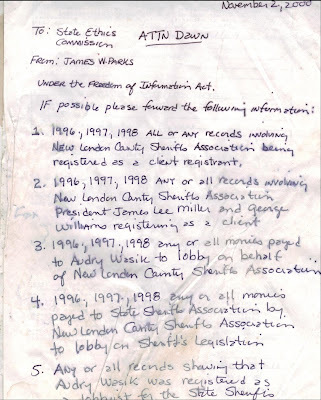 The Get Justice Coalition: State Police "Mob Hits", "Pay to Play" for Gambling Racketeers, etc? State Police "Mob Hits", "Pay to Play" for Gambling Racketeers, etc? What do all the re-posted videos and posts have to do within each other? Well, it looks like pattern and practice of public corruption, police, attorney, prosecutorial, official, legislator, and judicial misconduct in the state of Connecticut. Gambling racketeering thugs, the Mafia, State Police, Judges, Big Wig Attorneys, and their elected official friends all seem to have a "thing of ours". 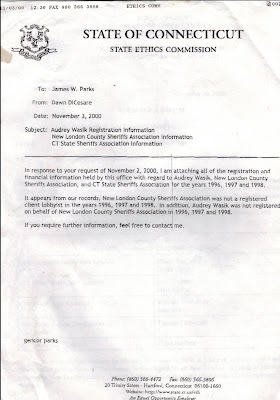 The Connecticut State Police Omerta Crumbling? MERIDEN -- A former state police commissioner went behind the backs of detectives feverishly tracking leads in the 2003 mob-style killing of a Middletown businessman, holding a "secret meeting" with the victim's father and attorney, according to testimony in the larceny trial of former state police Maj. Greg Senick. Timothy Barry, a former commander and colonel of the state police, made the accusations against his former boss, Public Safety Commissioner Arthur Spada, during testimony Wednesday in Senick's trial in Superior Court in Meriden. 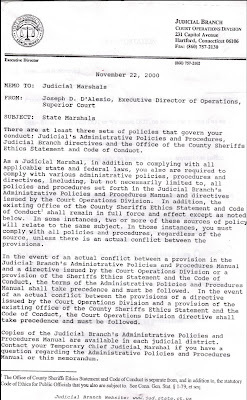 The trial has become a fish bowl of the dysfunctional state police hierarchy during Spada's tenure, which ended in 2004. Through his pointed cross-examinations, Senick's attorney, James Wade, has tried to show that Senick's arrest was fueled by politics from outside and within the department. Under Wade's questioning, Barry, a prosecution witness, disclosed the meeting Spada and Senick held in 2003 concerning one of Middletown's most notorious unsolved homicides, the slaying of Joseph Mazzotta. It was "a secret meeting that was completely undisclosed and undocumented and after that, Mr. Wade, I told your client if he ever did anything like that again I would run him right out of the state police," Barry said. "And I told him, don't ever do that again. If that ever occurs where the commissioner is going to do something unethical as that, you have to tell me about that," said Barry, who now works in fraud management for a Hartford insurance company. Senick, who is accused of charging thousands of dollars in bills to the state while living in state-owned property, had been Spada's chief of staff. Reached at home Thursday, Spada, a former Superior Court judge, acknowledged meeting with Salvatore Mazzotta, the father of Joseph Mazzotta, who had been shot in the face and neck at point-blank range in Middletown. But he vehemently denied there was anything secretive or unethical about it and said that Barry was bitter and out to get him because he drummed Barry out of the department, after he learned Barry was trying to get his job. "It's an outrage. It's the mad ranting of a disturbed and paranoid mind," Spada said of Barry, whom he had appointed colonel. "It was the worst appointment I ever made, and I regret it." 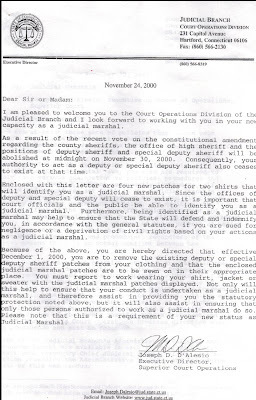 Spada said he frequently met with citizens who wrote to him about cases or problems. "Mr. Mazzotta is a citizen. He lost a son in a very gruesome killing," he said. "I conducted hundreds of these sessions when I had a complaint." Spada said the meeting was held in the library of his office and that state police attorney Dawn Hellier was there. "It was on the calendar," he said. Spada said Mazzotta had asked the state police to take over the investigation of his son's death from Middletown police. He said the major crime unit had already completed its investigation and had turned over any evidence to Middletown detectives. But according to Barry and other sources, the state police Statewide Narcotics Task Force and Organized Crime Task Force were still involved when that meeting took place. Friends found Mazzotta's body in the offices of the family's equipment-rental business on Boston Road in Middletown on April 14, 2003. Police never determined a motive for the killing. 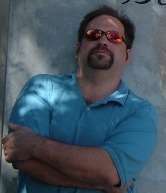 Mazzotta, 40, was a member of one of Middletown's wealthiest families, prominent in local construction and real estate. Investigators have examined the family's investments in the Schaghticoke Indian tribe in Kent and Joseph Mazzotta's involvement in Cocktails on the Green, the Cromwell bar in which Mazzotta had a silent interest. The bar was in financial trouble, and police sources said low-level transactions of narcotics and stolen goods took place there. Before his son was killed, Salvatore Mazzotta had hired bodyguards to keep order at the bar. He also paid tens of thousands of dollars to settle the bar's debts so it could be sold. About a month before the slaying, a severed pig's head was left at the bar's front stoop. In December 2003, Middletown investigators went to Springfield, Mass., looking for possible connections between Mazzotta's slaying and the Nov. 23, 2003, killing of Adolfo "Big Al" Bruno, a reputed mobster for the New York-based Genovese crime family. Bruno attended Mazzotta's wake and funeral and is known to have associated with Salvatore Mazzotta, sources close to the investigation have said. Last December, Frankie Roche, a Massachusetts man with reputed mob ties, was charged with murder in Bruno's death. Salvatore Mazzotta had been meeting regularly with Middletown police for updates, police sources said, but the meetings are now less frequent. Sources have said Mazzotta's involvement has been awkward at times, partially because in 1990, Salvatore Mazzotta was charged and later acquitted in a cocaine-trafficking case. On Thursday, Mazzotta recalled meeting with state police after his son was killed, but he could not remember meeting with Spada. He said a stroke he had four months ago has affected his memory. Mazzotta said his greatest frustration has been police officers' insistence that he knows more about this than he is saying. "Instead of looking for who killed my son, they were looking at me," Mazzotta said about Middletown detectives. "They go to Springfield, they follow me. I'd be a damn fool if I know who did it and don't tell." Mazzotta, who had asked for state police help days after the slaying, said he lacked confidence Middletown police could find his son's killer and was disheartened when state police pulled out of the case just months after the slaying. He said no one has contacted him about the investigation in 2½ years. "They left me hanging. I don't know nothing," Mazzotta said. "I don't have faith in nobody no more. I lost a son." Middletown Deputy Police Chief Lynn Baldoni declined to comment on the investigation Thursday. 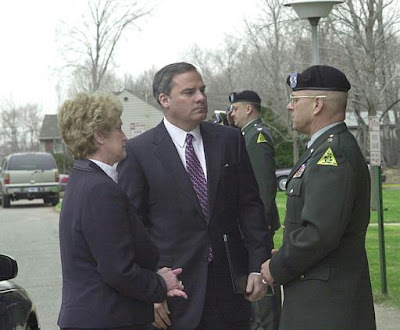 Spada's name had come up at a March 4, 2004, meeting between state police investigators, Drug Enforcement Administration officials and officers from the Statewide Narcotics Task Force. In a report, Terenzi said that Spada had friends and associates in the area who "were also some of the people we were looking at as possible or potential targets." Terenzi was later transferred and disciplined after allegations surfaced that he disparaged Spada's familiarity with Italians. In his testimony, Barry said Senick was "obligated" to disclose the 2003 meeting with Mazzotta, which occurred "while an investigation is going out and dozens of officers are trying to solve the case." "You know, Mr. Wade, as a criminal defense attorney the consequences of actions like that," Barry said, referring to how the meeting may have affected the case. "You, as a dedicated and committed group of attorneys, have been ardent and vocal supporters in the area of educating the public about the rule of law, and the bench is tremendously appreciative of these efforts. This principle is vital, and it is essential that the public understand precisely what is at stake when our constitutional obligation to apply the rule of law is under attack. "When judges do the right thing under the law, however, we often make someone angry. And let me assure you, in the no-holds-barred era of the Internet soapbox, the feedback -- often anonymous -- can be brutal. As you know, we as judges cannot, under our Code of Judicial Ethics, comment about our cases. That is why it is so essential that the bar step up and speak up to make sure that the public understands the need for an independent judiciary that will apply the rule of law as opposed to making the popular or less controversial decision." What did Rell know, and when didn't she know it? Rowland was up to shenanigan after shenanigan, taking bribe after bribe while LT. 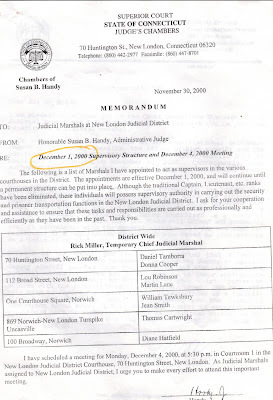 Governor M. Jodi Rell supposedly knew nothing, yeah right! If you look for discrepancies and know a little about the inside workings of a patronage system of government and of courts, you'll understand the below and clicking on and examining each of the below documents. 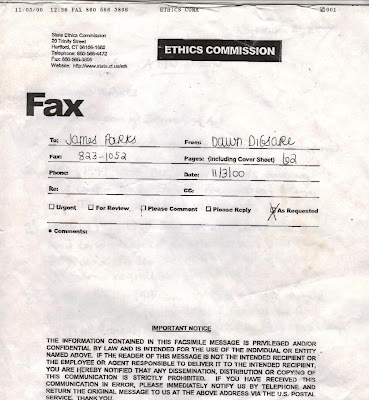 So, according to former Ms. Green and her husband exposing abuses, taxpayer defrauding, retaliation, nepotism, the state of fear in the DMR (Connecticut Department of Mental Retardation), the falsifying of reports, and the blanket disregard for rules, procedure, and laws could mean being fired, losing one's pension, and even ending up under arrest and in prison. 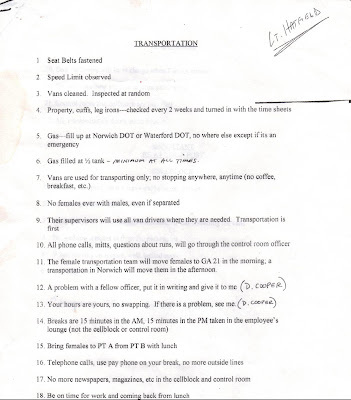 Ms. Green told me that is how all 3 branches and all official Connecticut departments operate. Former House Speaker James Amann was hired Friday as a $120,000-per-year senior adviser to his successor, Speaker Christopher Donovan. In his new position, Amann will help Donovan on both administrative issues and important pieces of legislation. He will also be organizing regional meetings with both business groups and advocates on a variety of legislative topics. 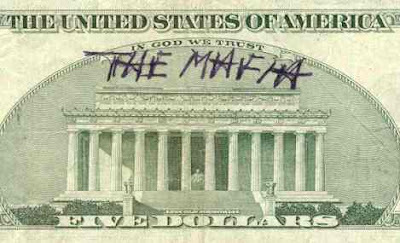 is a hallmark of any Mafia-like organization. Someone that can easily obtain large amounts of money and then just waste it, such as losing $176,000 gambling in just 6 months, begs many questions. 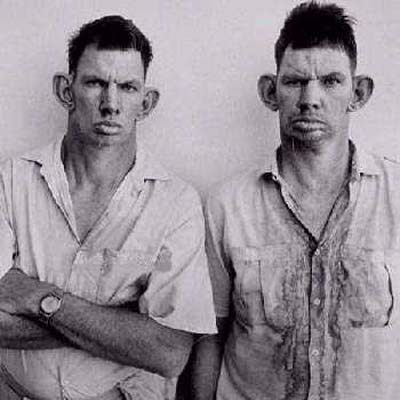 The Connecticut State Trooper Gene Pool? Caruso should start with his own cousin, Edna Press, who was given the position of official court reporter in Stamford. The position required that the person be a practicing court reporter. Ms. Press was not. 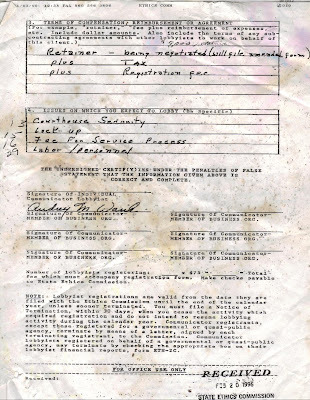 Before being employed only as a court monitor, not reporter, she was a day care worker, check her tax return records. Ms. Press had not done court reporting in years. 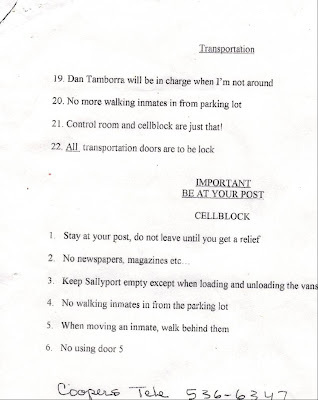 Ms. Press advised one of her employees in Stamford to move to Bridgeport in order to be able to bill for mileage by being outside of the district. The employee fraudulently stated that she lived in Bridgeport for three months, before actually moving to Bridgeport, and was paid for that mileage. Instead of being fired, Ms. Press has now been elevated to Supervisor of Transcript Services, a top management position, with pay increase, and probably a state car, and yet is still "stationed" in Stamford for her convenience, and not in Hartford, although does have her new title. Mr. Caruso's cousin's daughter, K Mulvihill, just recently acquired the position as "caseflow coordinator trainee." Ms. Press and Ms. Mulvihill are very close, personal friends with Mr. D'Alesio, the executive director for Judicial, number three in command in the State. The position of caseflow coordinator in Danbury was posted at 58k a year, yet the posting for "case flow coordinator trainee," in New Haven, the job K. Mulvihill just recently acquired, was posted for 38k with an asterisk, stating if you had a law degree, the pay was 68k. Let's all guess what her starting salary will be. Nice wedding present, Joe. Those in positions of authority in judicial continually alter the job classifications and qualifications as they deem suitable for their needs in supplying these upper management positions to their friends and family. It is an abuse of authority, it is corrupt, it is discriminatory, illegal, and abusive, in addition to being a gross waste of funds of Connecticut tax payers. Gov. Rell, Chief Justice, Senators...Stop the corruption in the State Judicial Department. Those in positions of authority have been milking the judicial branch for years now, giving top management positions to their friends and family, all for personal gain...they are bleeding the taxpayers and the State dry...we don't need more deputy directors, program managers, executive supervisors...we need the workers in the courtrooms...CLEAN HOUSE NOW--DO THE RIGHT THING! As a taxpayer I am outraged. Where is the justice? From the sound of it, certainly not in the Judicial Branch! There is so much nepotism in the Judicial Branch it is sickening. If your relative is a Judge, you are a shoe in for the top paying jobs. There are no tests administered for jobs, just send in your application w/resume and a phone call from your relative and you got the job!! High paying jobs are given to people without any college education. What message does this send to young people? No one even checks for high school diplomas!! Wake up Governor and clean house in Judicial. I think if our leaders continue to fail to deal with these serious issues, then perhaps in November we should remember that when we vote. Taxes are supposed to help pay for the things we need in our government, not to give a job to someone because they are related to or friends with someone. I'm very happy this bill finally was passed. But when you take a step back and think about it, it's pretty insane that any public official ever who was removed from office for taking bribes would ever still be paid a pension afterwards. The allegations of nepotism in our state judiciary made my other commenters are disturbing as well. Does this bill address those sorts of ethics violations? I really wish this article actually stated what the bill that was passed actually does in detail. Is it a comprehensive ethics bill, or just a narrow scope bill to deny pensions to convicted bribe-takers? It is absolutely disgraceful that judicial workers who do their job and do it well with professionalism and dedication and have the qualifications are unable to attain a promotion not because they don't deserve it but only because someone much less qualified has "the juice" with the powers that be who will ultimately rubberstamp their promotion. Knowledge is no longer a precursor. The old saying It's not what you know but who you know is alive and thriving in the Judicial Branch within the State of Connecticut. To you, Mr. Joseph D'Alesio, and those of you in management enjoying the spoils of your deceipt, your corrupt behavior, and your disregard for those of us who do not matter in your desire to fatten the wallets of your families and friends, when will you have a conscience? I believe you collectively never will until your actions are scrutinized by an outside agency and you're held accountable. Only then will people like myself and the many others who man the wheels of justice day in and day out will truly believe in justice. 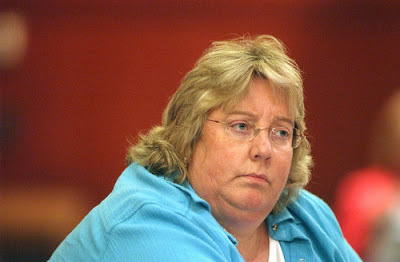 I am very troubled by the allegations made regarding Edna Press being a daycare worker prior to her position in upper-level management with the State of Connecticut. THE PEOPLE OF CONNECTICUT MUST DEMAND AN INVESTIGATION INTO THIS MATTER!!! it is indeed time to clean house starting with Mr. Joe D'Alessio himself. Can we get the Connecticut Post to follow this growing story??? "Oops, I crapped my pants"
The Deputy United States Attorney that brought down Boston FBI Agents and local cops for illegal activities with federal informants seems to have turned a blind eye to the questionable appointment of suspended Hartford Police Officer Robert Lawlor (pictured) to the Federal Violent Crimes Impact Team (“VCIT”) in 2005. Connecticut’s U.S. Attorney Kevin O’Connor and Deputy U.S. Attorney John Durham remain mum on the topic of Lawlor’s involvement in a Federal Task Force operating in Hartford that led to the death of 18-year-old Jashon Bryant and shooting of Brandon Henry by Lawlor. Lawlor killed Bryant and seriously wounded Henry while on duty as a deputized United States Marshal working on the VCIT. VCIT was a joint operation, federally funded, that utilized Federal Alcohol, Tobacco and Firearms (“ATF”) agents and Hartford Police officers to get guns off the streets.